Published in Rafu Shimpo, March 26, 1956, Japanese section. 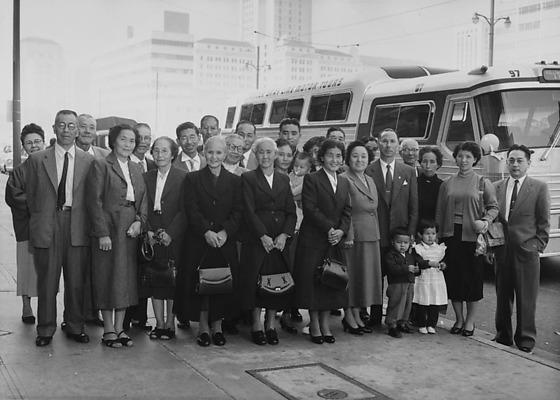 Group portrait of Brazil Kankodan standing on sidewalk in front of tour bus in California, March 25, 1956. Two small children stand in front at right. Typed on original negative envelope: Brazil Kan Kow Dan.